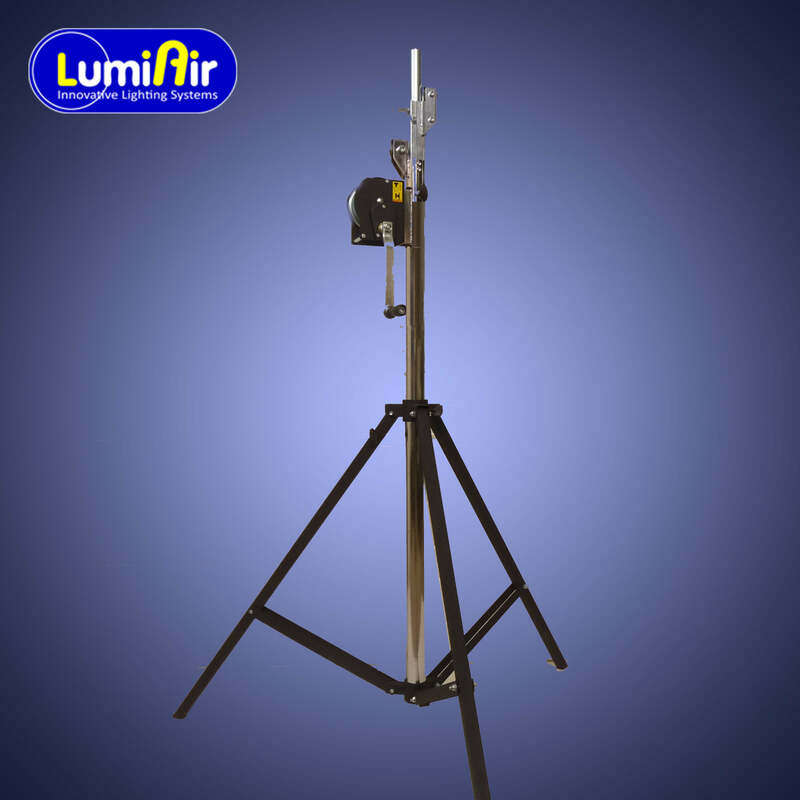 Telescopic manual mast with large tripod to set the lighting source at 5m height. Mât télescopique sur trépied muni d'un treuil manuel permettant de positionner la source lumineuse à une hauteur de 4,5m environ. 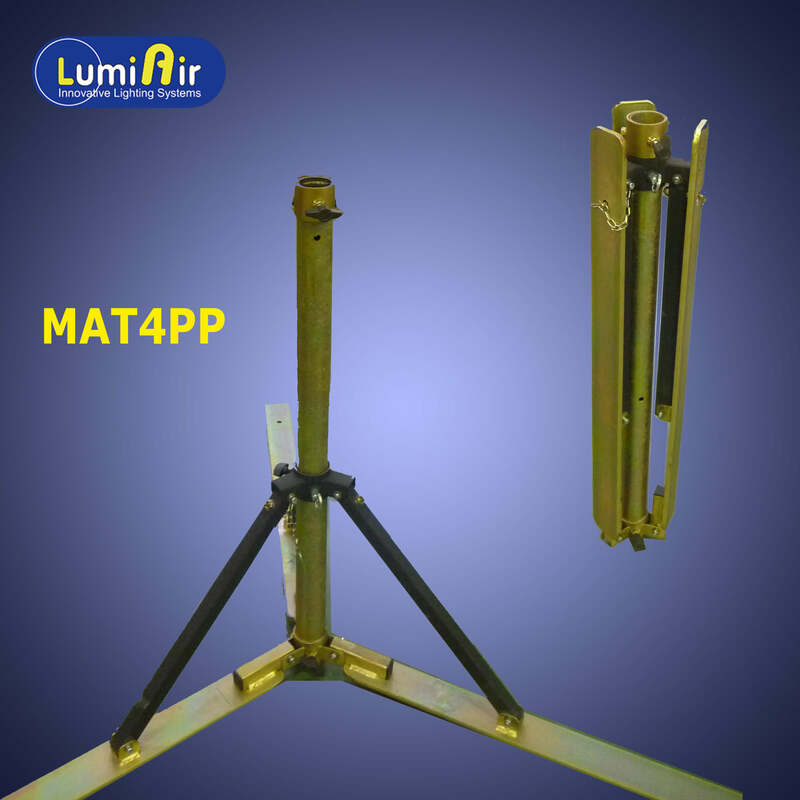 Telescopic manual mast with tripod for indoor use to set the lighting source at 3.5m height. 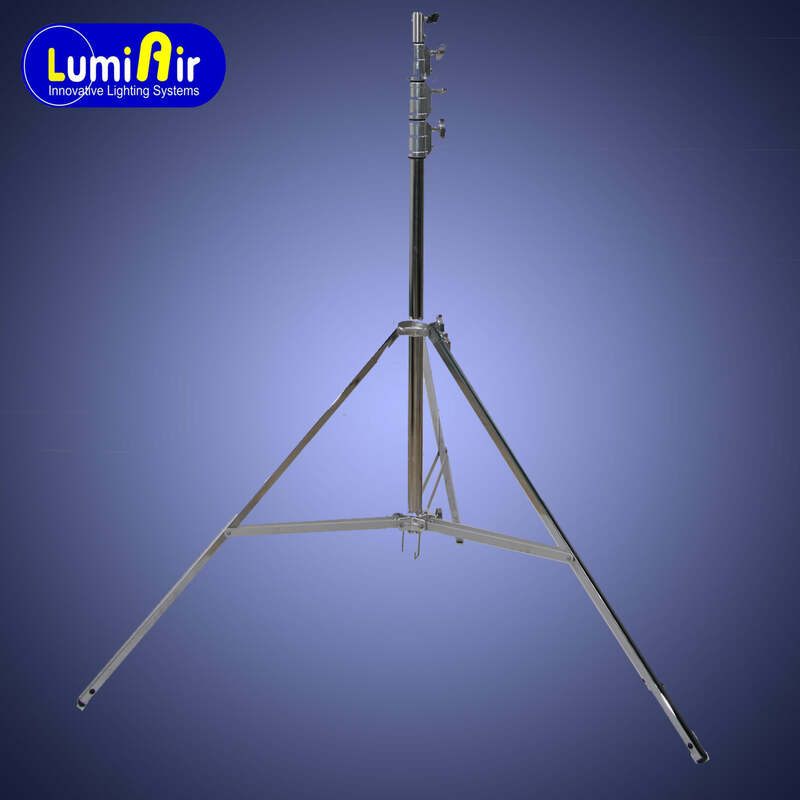 Flat foot with wide base that provides stability. 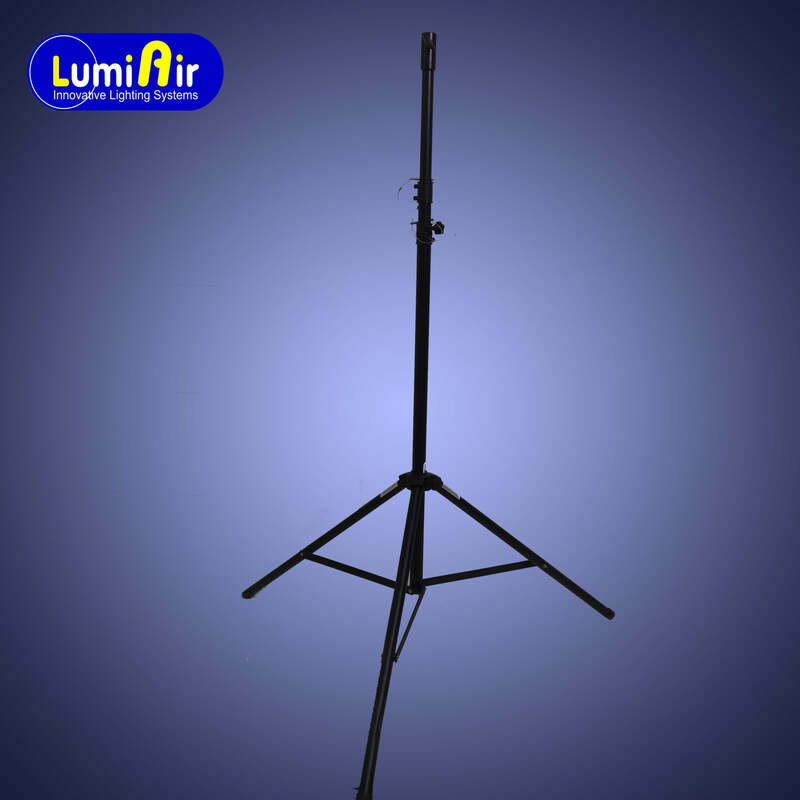 Equipped with its manual telescopic mast with winch to positioning the light source at 4m.